Viral video, dance contests, flash mobs; dance is everywhere online and there are plenty of places you can get in on the action. Below you’ll find three top spots to get your groove on and maybe win some prizes. These contests are already underway so hurry! Keep reading for two big contests in their final round. These feature some spectacular videos for your digital viewing pleasure. Make sure you get your say in the outcome! Then, stay tuned because these videos have inspired a follow-up article sure to ignite your imagination and invigorate your classes! The Basics: As part of their Spring Dance festival the Sydney Opera House, in collaboration with YouTube presents this online dance competition. 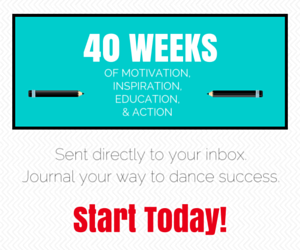 Create your own 40 second dance solo. The first 20 seconds are your interpretation of the starter solo (performed by Josh Mu), choreographed by Kate Champion, Artistic Director of one of Australia’s leading dance companies, Force Majeure and choreographer for the international stage production of Dirty Dancing. The second 20 seconds is a continuation of the solo in your own style. You have until August 10 to upload your video. Finalists will be chosen and will participate in two more rounds of challenges. Once narrowed to only 5 finalists, voters will choose the winner. What You Win: The winner will score the ultimate prize of rehearsing with Kate Champion to bring his/her unique performance to life at the screening of Footloose on September 26. In addition to the thrill of performing live at Sydney Opera House, the winner will receive $2,000, a SONY HD flash Handycam camcorder, as well as a SONY ‘Bloggie’ HD snap camera. Who Can Enter: The contest is global and there are no age restrictions! Find Out More: www.youtube.com/sydneyoperahouse or visit Spring Dance on the Sydney Opera House website. The Basics: Show off your amazingly smooth mooves. Submit a video of yourself dancing to one of the three approved songs, using the provided choreography for the first part and your own freestyle for the rest. 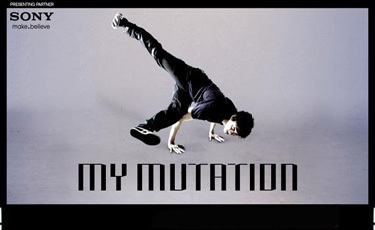 Choose between a Jazz Funk, Hip-Hop, or B-Boys and B-Girls routine. 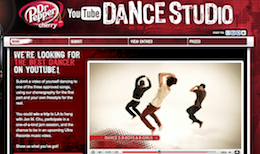 Learn the moves, download the song, make your video, and submit, but hurry! Submissions must be in by August 2. Four finalists will be chosen, then it is up to voters to decide on the winner (to be announced August 31). What You Win: You could win a trip for two to Los Angeles, where you’ll spend a day with Jon M. Chu (director of StepUp 2 and upcoming StepUp 3) at a jam session with some of the best hip-hop dancers around, and the chance to be in an upcoming Ultra Records music video. Who Can Enter: U.S. residents 18 years and up. The Basics: I cannot resist including this unique contest which invites entrants to turn their Ph.D. thesis into a dance! Any scientist in the fields of physics, chemistry, biology, or the social sciences with some friends, a great idea, and a cheap video camera can win. According to GonzoLabs (a virtual research institution where art, science, and culture intersect), the best dances not only insightfully reveal the scientific content of the PhD thesis, they not only show artistry to create a compelling spectacle, but they also creatively combine these two aspects in a successful execution. Submissions are due by September 1, 2010. What You Win: A cash prize of $500 goes to a winner in each category, with an additional $500 to the Best Ph.D. Dance of All. Finalists from each category will have their videos screened at Imagine Science Film Festival in NYC. Who Can Enter: You have to be 18 years or older, have a Ph.D. in a science-related field, or be working on one as a Ph.D. student and you must be part of the dance. If you are a fan of Cirque Du Soleil and in the Boston area, you may want to check out the Cirque Du Soleil Bug Dance Contest! If you fancy yourself a choreographer, submit a dance routine for Big Girls Don’t Cry by Mik Brown for the chance to win $500. International dance venue, Sadler’s Wells Theatre in London offers a cash prize and a chance to perform live at Sadler’s Wells Sampled, a yearly showcase of the best in dance from around the world. Ten entries are being selected by a judges panel right now. Voting will commence August 9, so keep your eye on www.globaldancecontest.com. Okay, this one isn’t a contest but National Dance Day (a grassroots movement, spearheaded by Nigel Lythgoe and Dizzy Feet Foundation) is coming up on July 31. The effort is being recognized with an official act of Congress when Congresswoman Eleanor Holmes Norton (D-DC), a long-time proponent of healthy lifestyles, will introduce a National Dance Day resolution at a press conference on National Dance Day in Washington, D.C., to promote dance education and physical fitness across the U.S. If by chance you haven’t heard of National Dance Day, you can find more info at www.dizzyfeetfoundation.org.